Subscription Billing. Easily manage your recurring revenue business. Create a subscription contract and automate your recurring billing. Manage trial users, extend trial, and manage notifications easily. Setup trial with credit card or at the time of billing. 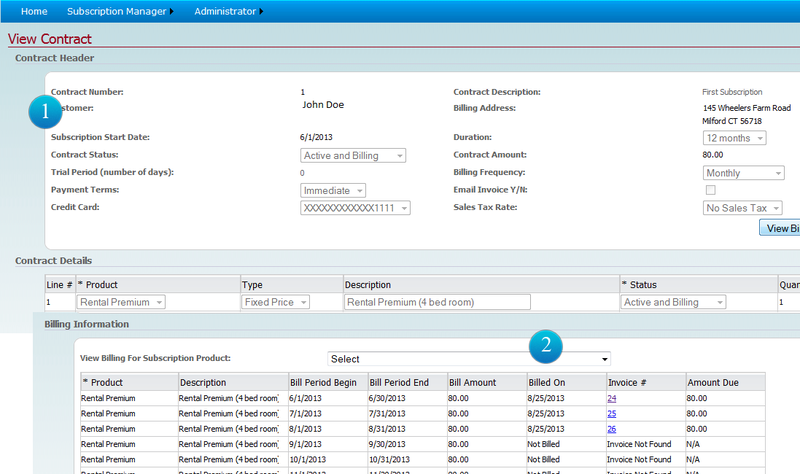 View billing and related invoices for each subscription. Subscription is integrated with invoices; and double-entry accounting entry is automatic for easy bookkeeping and financial reporting.